Your hungry dude will make a big splash in the Stella McCartney Kids™ Toys and Food Swim Trunks. Toy and food printed, cargo swim trunks. Elastic waist with drawstring detail. Side hand pockets with back, hook and loop pocket. 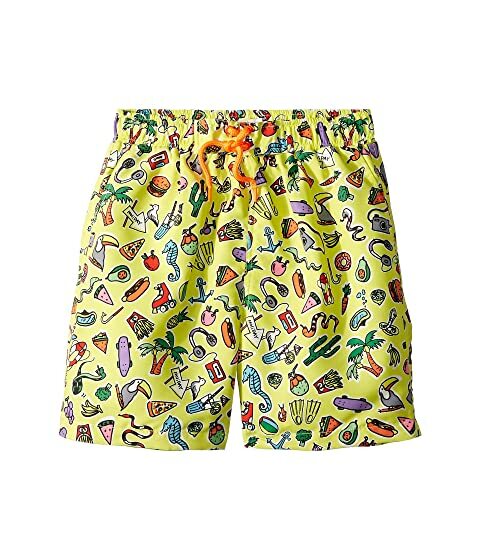 We can't currently find any similar items for the Toys and Food Swim Trunks (Toddler/Little Kids/Big Kids) by Stella McCartney Kids. Sorry!